Gift giving is the best part and the worst part of the holidays, wouldn’t you agree? We all love to get gifts, but let’s be honest, gift-giving can bring on all kinds of stress. There’s a lot of guesswork, there’s a lot of legwork and too much time spent shopping on line, and then there’s the expense. Even though it feels good to get things for the people you love, gift-giving can get expensive! There’s got to be a better way, and that is DIY. If the abundance of crafting and DIY Pinterest boards are any indication, crafting is an extremely hot trend! People do projects because they enjoy the creative outlet. A side bonus is that often DIY can save you a few dollars, so why not combine these two benefits of crafting and DIY and make your own gifts? Makes sense to me! A gift that was hand-made just for you is extra special, and sure to be appreciated. I put together a few ideas, but you can always find more on Pinterest and DIY blogs. Almost anyone would love to get some home baked treats, so whip up a batch of your famous cookies. Presentation is everything, so check out this blog for creative and beautiful ways to package those gifts. You can easily make some chocolate bark, which makes a great gift because it looks nice, and, of course, who wouldn’t want to get chocolate? There are lots of recipes, but it’s so simple you don’t really need one. Just melt some chocolate over gently simmering water and mix in you choice of nuts, dried fruit, pretzels, or whatever sounds good to you. Spread on a sheet of parchment paper and chill for about 30 minutes until firm, and then break it up into large chunks. 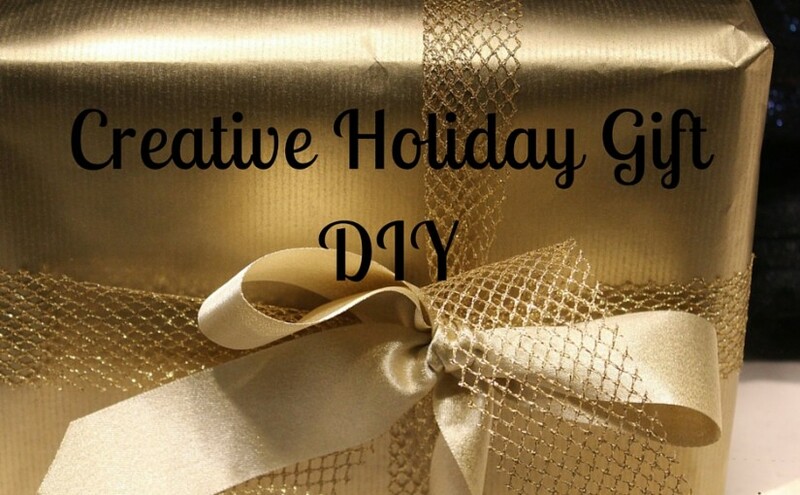 Package it creatively and that’s one fancy gift you’ve got there! Make some Pom Pens for the kids on your list. They are adorable ribbon wrapped pens with pompoms on top that will make school a little more bearable! Find the instructions from Hearts & Sharts. Are the people on your list into the spa thing? Make some Peppermint Sugar Scrub. The instructions from Mom 4 Real are here. It looks so nice and luxurious, but it’s so easy and inexpensive to make. If you’re giving unique gifts made by you, go all the way and make your own special gift labels. You should be able to find some great inspiration from this post from Buzzfeed. And finally, have some fun wrapping your gifts. Regular wrapping paper is fine, but why limit yourself to the typical? Use what you have around the house, and save your money. Anything you want can be a great gift wrap. Use any kind of paper or fabric, and instead of the typical gift ribbons and bows, experiment with different twines, yarns, or anything else that looks good to you. There are no rules, so make something unique and just have fun.